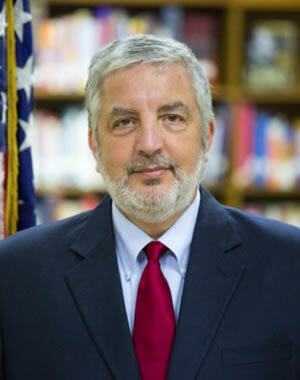 As a Foreign Service Specialist Dale Giovengo has held or managed numerous positions responsible for Embassy operations in France, Albania, Kuwait, Pakistan, Switzerland and Iraq. Dale most recently managed the Medical Services Support Iraq Program before joining the Diplomat in Residence team in 2017. As a Human Resources Officer, Financial Management Officer, Management Officer and Contract Officer Representative Dale's cross section of experience has provided him with the knowledge of what it takes to make an Embassy work from day to day. He has been in a number of hardship postings including Iraq and Pakistan. The most challenging year of his career was as Management Officer of the General Consulate in Lahore, Pakistan, where he was one of twenty American in the city of 10.3 million. This was during the 9/11/2011 Bengasi incident that created much civil uproar and security concern. Dale was fortunate to be part of the team in Geneva during the Iran treaty negotiations. On a lighter side, and in one of the most memorable days of his career, during a visit to Africa in Mali promoting a Save the Children Program, the small village he was in presented him with a goat as a gift. The Foreign Service is a second career for Dale. Before joining the Department he had a successful thirty-six year career in the private sector in the retail industry. He began his career with Giant Eagle Inc. headquartered in Pittsburgh in 1970 as a store clerk, spent ten years as a store manager and twenty-two years as Human Resources Director. He also spent twenty years as a professional soccer coach, coaching in professional leagues and at the high School level in the Pittsburgh area. Dale has tried to bring much of his private sector experience to government. He was born and raised in Pittsburgh holds a B.A. in Sociology from the University of Pittsburgh and an M.A. from Duquesne University in Leadership and Ethics. Dale and his family live in Western Pennsylvania.